One of our resolutions for 2019 is to make more – and enjoy the process. We’re bringing you the inspiration behind all the trends for the upcoming year. Favorite the projects you like, and let’s get our making journey off to a grand start! 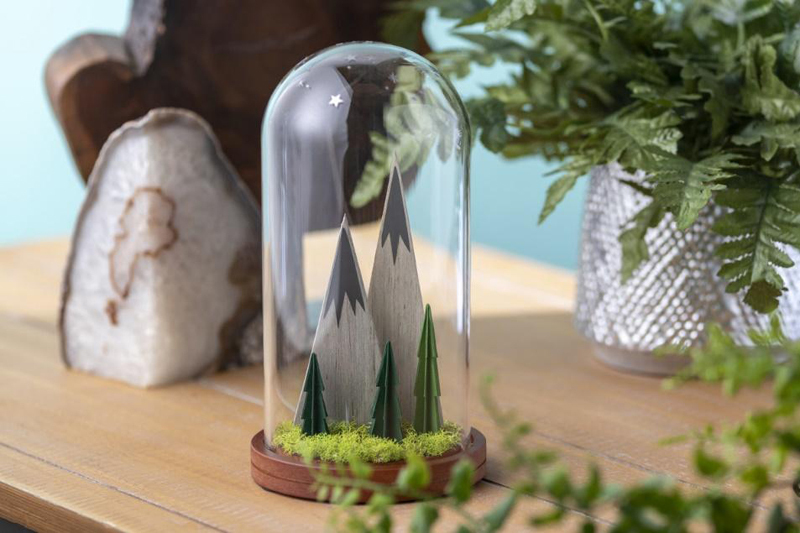 WOOD: Bringing in that natural element. 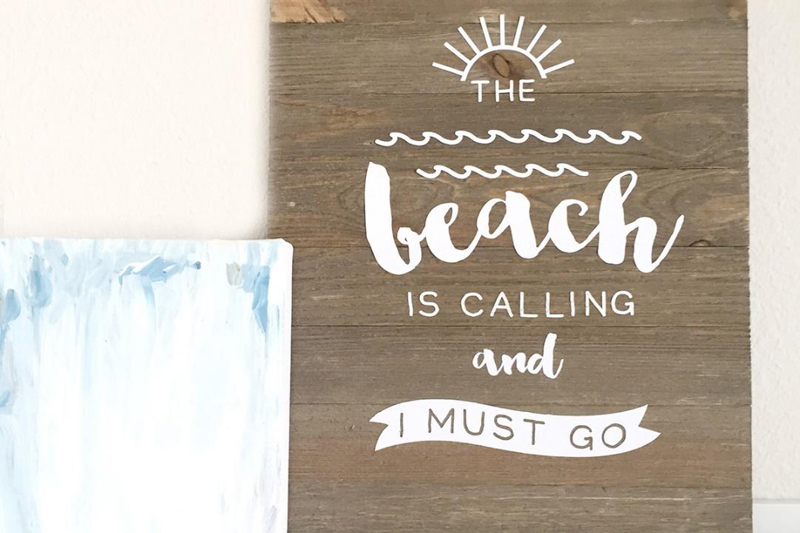 Whether you are cutting the wood from scratch with your Cricut Maker or applying vinyl (or even better, iron-on) to your project, it’s sure to be a hit! 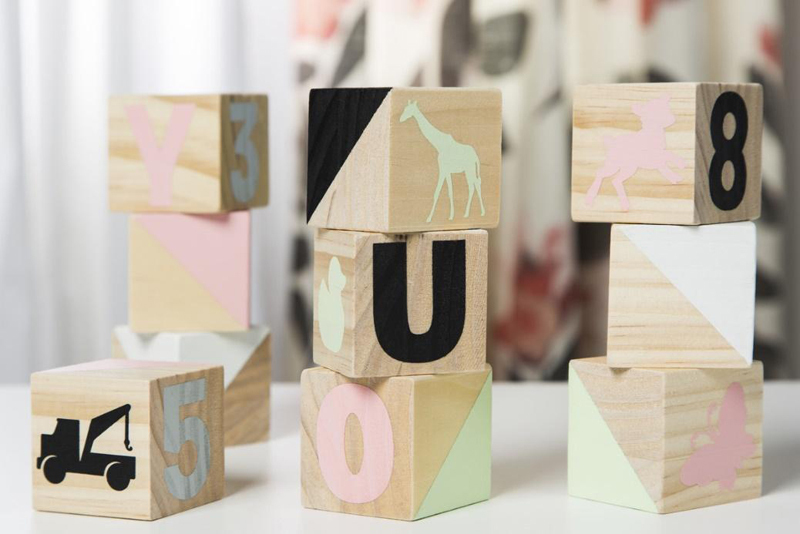 You can make these beautiful basswood coasters. 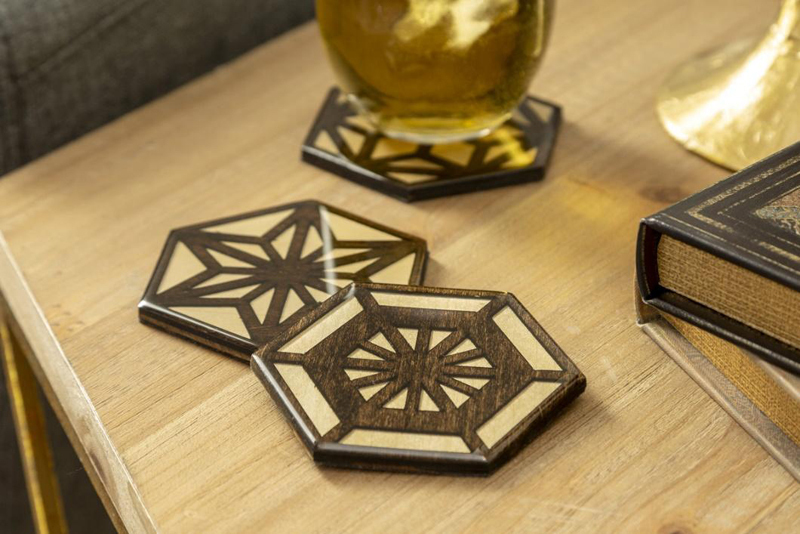 Don’t forget to seal the coasters so that the wood doesn’t warp or stain with any liquid. For those of you who are adventurous travelers (or are just obsessed with globes like we are! 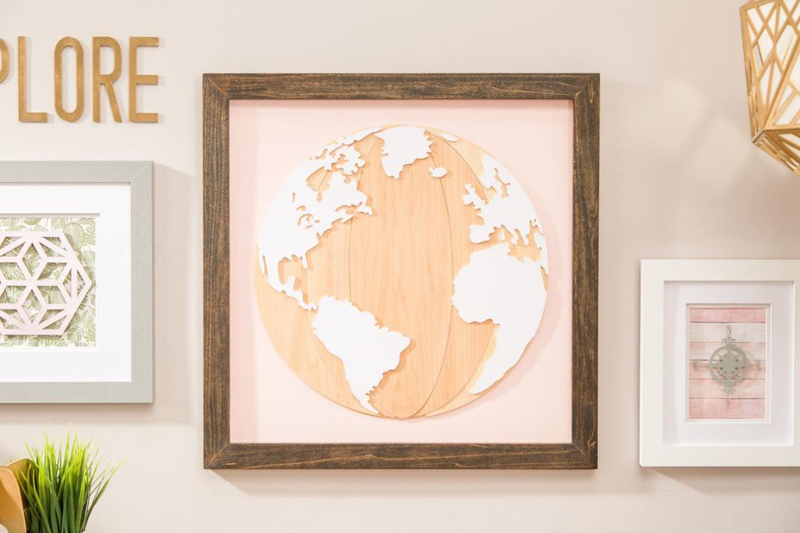 ), this globe wall art makes a perfect statement piece. 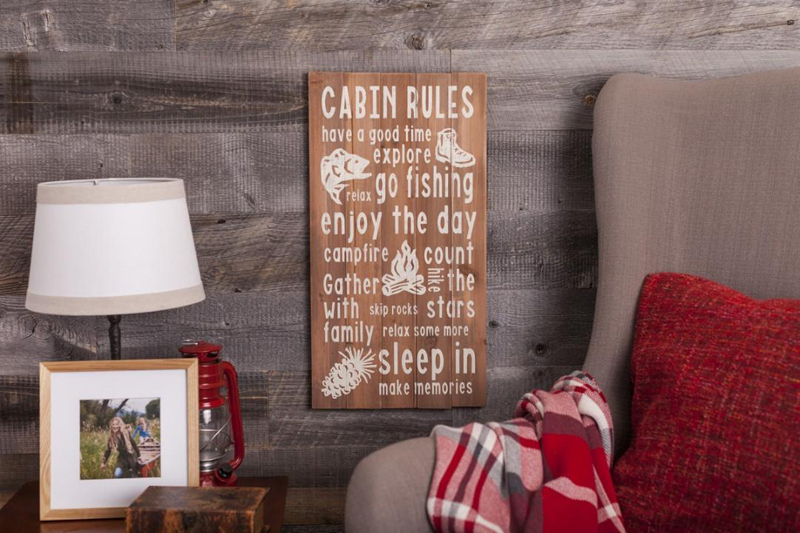 Bringing wood into mixed media projects can add a great element of texture to your project too. Make sure to use a sealer on your projects so the wood doesn’t procure any damage in an unexpected way. 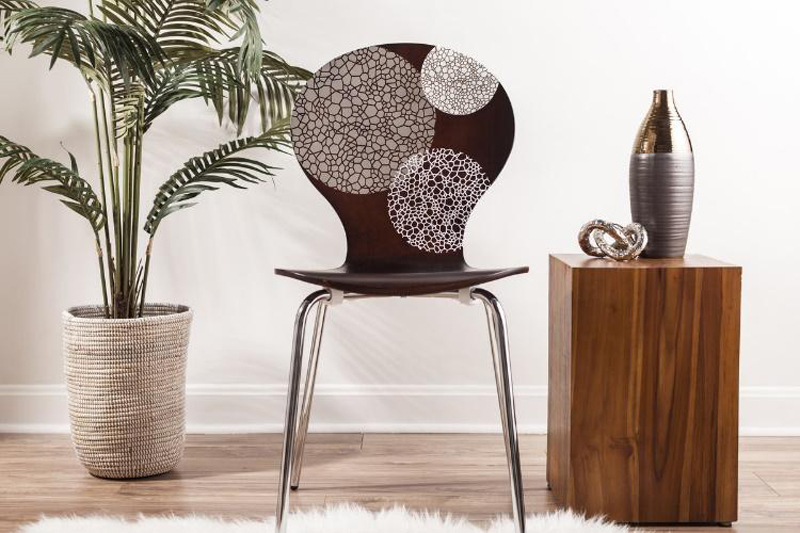 If you’re applying vinyl or iron-on, make sure that you sand the wood to a flat surface. Since wood is a natural product, it isn’t always flat. You might need to sad the surface down so all areas of the vinyl/iron-on stick. 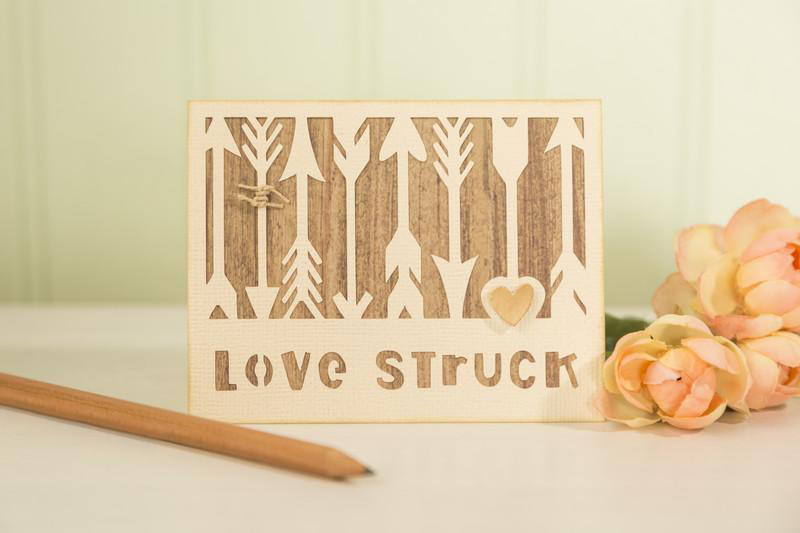 When combining wood to your paper projects, consider a stamping effect for your paper to bring in a rustic feel. When you’re selecting a stain color, make sure to add it as a color of the project or match ones that are already existing in the room. 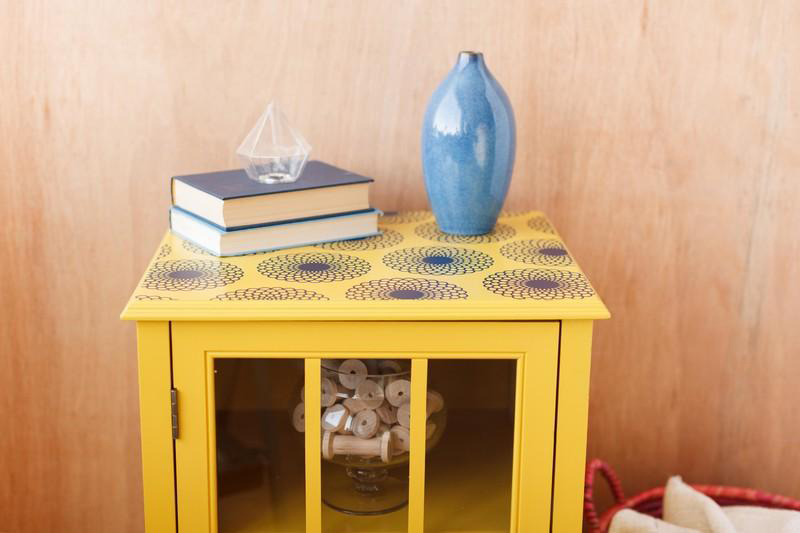 Don’t be afraid to mix yourself a custom stain for your wood! Before applying wood glue, wet the wood with a damp cloth. Once you apply the wood glue, clamp it down for 24-hours to make sure it sets. If you’re using pallet wood, clean off the wood with a wire brush. Learn how to make a wood frame from scratch. Tips on using Knife Blade with Cricut Maker. 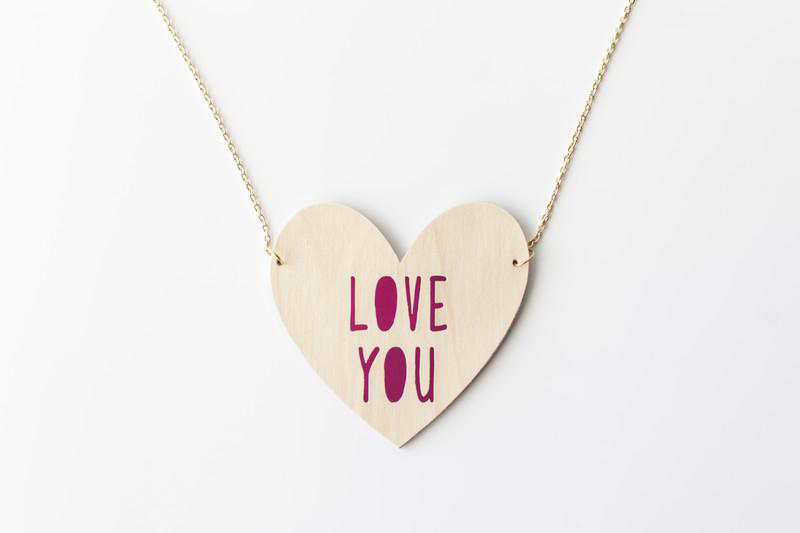 Using faux wood with your Cricut machine. Let’s Make a Disney Frozen-themed Banner With Your Cricut!